Celebrate and inspire your nurses and nursing staff with budget-friendly appreciation gifts from NYFifth.com! 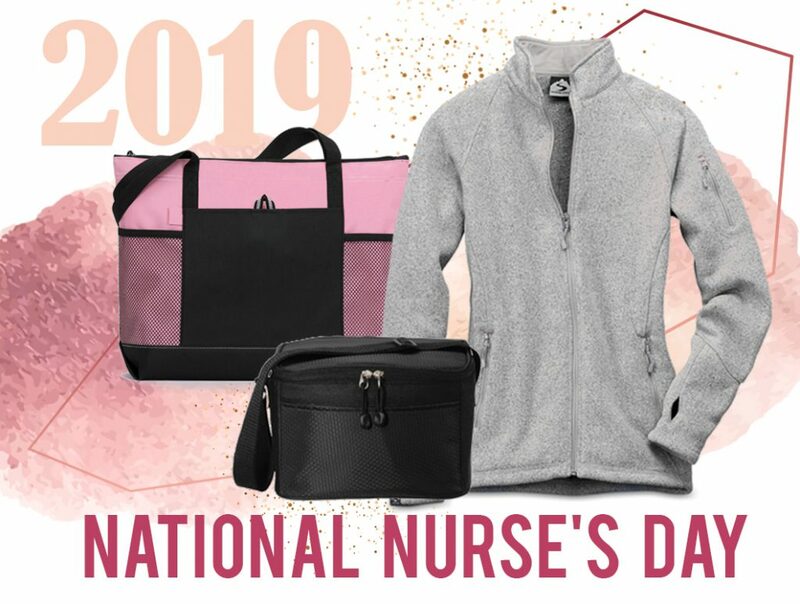 We offer a wide variety of inexpensive nurse bags and apparel that can be personalized with your facility’s logo or personal message to make your National Nurse’s Day gifts extra special and memorable! Gemline 1100 – Select Zippered Tote — One of our best-selling tote bags! Made with 600D Polyester, and features zipper closure, front pocket with pen loop, mesh pockets for water bottles, this tote bag for nurse has a long term use and keeps your essentials safe and secured. The front pocket is the perfect place to add personalization to make this tote extra unique. 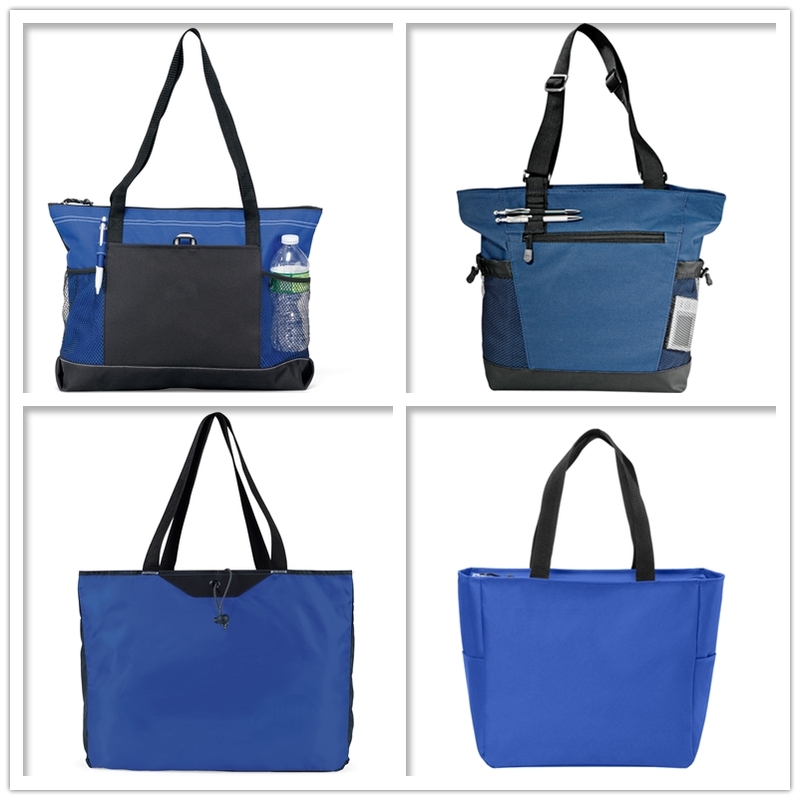 Available in 7 colors, this custom zippered totes is the perfect nurse tote for work! LEEDS 8400-30 – Urban Passage Zippered Travel Business Tote — If you’re looking for a nurse tote with pockets, this tote is for you! It features zippered main compartment, zippered front pocket, two side mesh drawstring pockets, and pen loops so that you can easily sort out your medical gear. Features a adjustable 15″ handle drop height carrying strap, you can carry it in a comfortable way that allows you to easily walk around. Gemline 1833 – Express Packable Tote — For a more lightweight nurse tote bag that can be used for other things, look to the Gemline Express Packable Tote! This lightweight tote is packable and portable that is perfect for on-the-go use. It features a bungee with toggle wrap closure keeping your essentials secured. This tote bag is made with 190T Polyester that’s easy to clean. Port Authority BG410 – Essential Zip Tote — There’s plenty of room to hold your nursing gear in this must-have tote. Made with 600 denier polyester canvas and features a zip closure for the main compartment, this essential nurse tote bag is durable and will keep your essentials safe. There are 15 colors for you to choose from. For those long shifts at the hospital, lunch bags and coolers are the essential when you take a well-deserved break. We offer a wide selection of lunch bags for nurses. Below are the most popular lunch coolers at NYFifth.com. 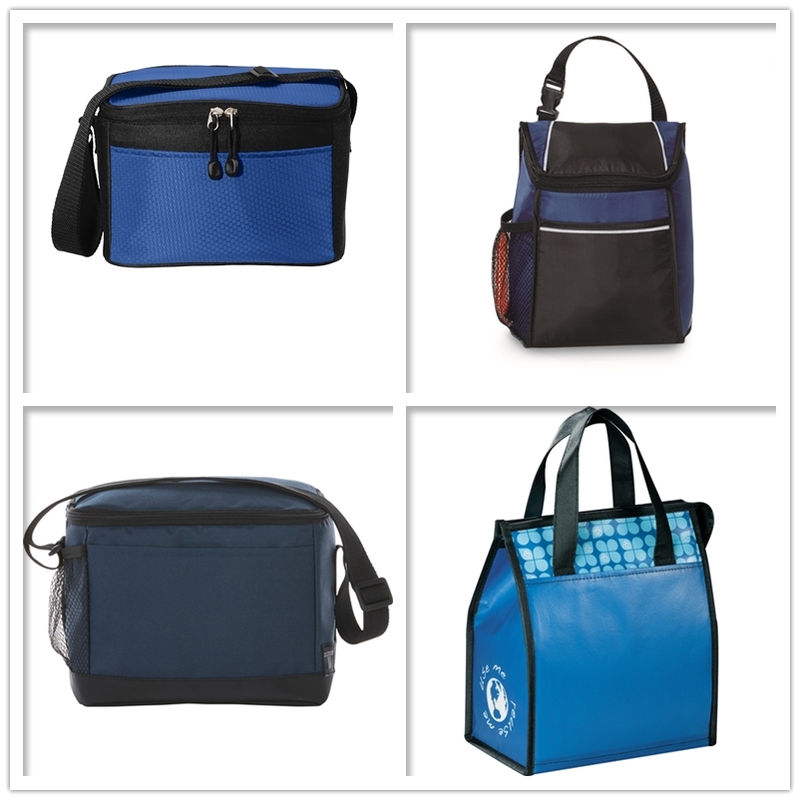 These stylish lunch bags for work are durbale and insulated to keep your food fresh and drinks cool. Also, you can print logo or design onto them that every nurse will use for years to come. Port Authority BG512 – 6-Can Cube Cooler — This cooler easily holds six cans as well as an ice pack and other must-haves. It’s made with 420 denier honeycomb polyester, 600 denier polyester canvas, PEVA lining that’s durable and has a long term use. It features heat-sealed, water-resistant lining keeping your drinks cool. Interior zippered mesh pocket for utensils. Large front slip pocket for easy decoration access. Gemline 9412 – Lunch Cooler — It has 7 can capacity. Front slash pocket is convenient for you to put your essentials. There is side mesh water bottle pocket. Removable ID tag is designed on side. Zippered closure will keep your stuff safety. Top grab handle is easy to carry. Attachment buckle easily secures lunch cooler to personal carrying bag. Tranzip 2020-18 – 6 Can Lunch Cooler — Tranzip – navigate your way through the city with style. This cooler features a PEVA lining keeping your drinks cold; adjustable shoulder strap for easy carrying; and tarpaulin bottom. LEEDS 2160-83 – Laminated Non-Woven 6 Can Lunch Cooler — A perfect companion for bringing to work or picnic, this lunch cooler is insulated with heat-sealed water-resistant lining keeping your meal fresh and a beverage cold. Laminated material is water-resistant and easily wipes clean. Available in 6 colors, these personalized lunch coolers are great gifts for nurse. 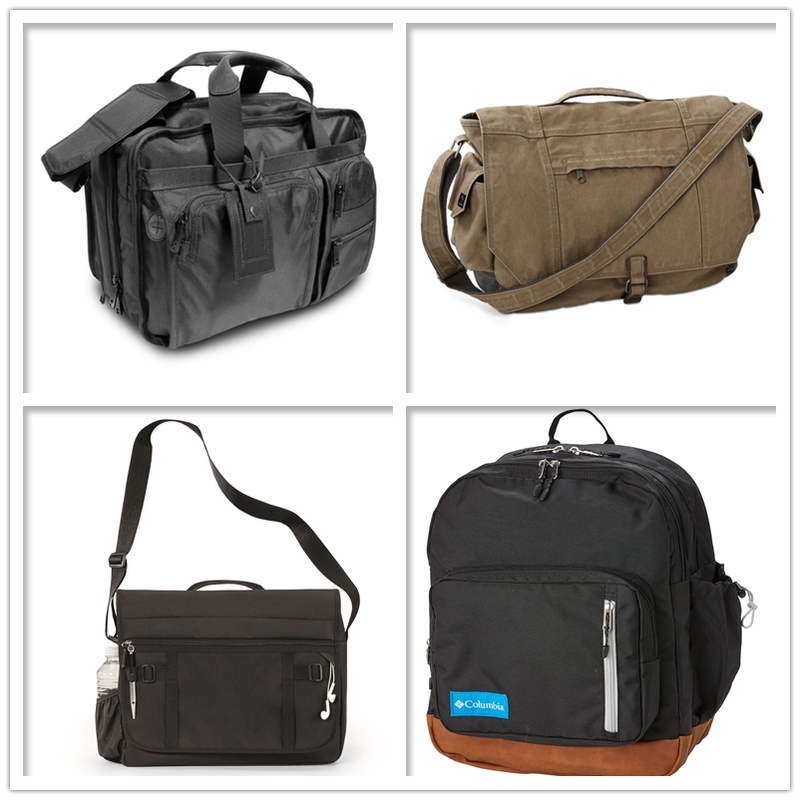 Liberty Bags Drop Ship 7791 – The District Briefcase — It offers 2 main extra large compartments and 3 front organization pockets to carry all of your basic medical equipment and you can easily sort out them. Made with 1680 ballistic nylon and features comfort carrying strap and handles, this medical bag is durable, easy to clean, and can make your carrying experience much easier. DRI-Duck 1036 – Canvas Messenger Bag — Made with durable cotton polyester materials and features a flap over cover, this simple, yet classic messenger bag for nurse has a vintage and timeless appearance. Main zipper compartment is great for easily hauling around numerous medical essentials. Zipper pocket on outside flap and side snap pockets is perfect for storing quickly needed medical gear. Gemline 2612 – Global Messenger Bag — Professional and functional, this nurse messenger bag is built tough for your work life. Features front zippered pocket, front flap with hook and loop fastener and multi-function organizer with zippered pocket, and side water bottle pocket, this bag can keep your medical gear separate and organized. Columbia CB100 – 35L Backpack — This backpack is great for everyday use! Features dual main compartments with padded laptop sleeve, front zippered pocket with organizational compartment, front vertical stash pocket, top lined accessory pocket, and drawcord side pocket, this nurse backpack can keep your medical gear separated and secured. There are 6 colors for you to choose from. Fleece jackets are the perfect blend of warmth, softness, and comfort. They are heartwarming gifts for nurses, since they are perfect companion for going to work at chill morning or will keep you warm on night duty. Below are the most popular fleece jackets for both men and women. Plus, you can add personalization (name) to each jacket at NYFifth.com. Port Authority Ladies Value Fleece Jacket (Men’s Available) — This exceptionally soft, midweight fleece jacket for nurse will keep you warm on night duty and it’s offered at an unbeatable price. Available in 10+ colors, these custom fleece jackets for both men and women are perfect for customizing nurses’ names. Storm Creek Women’s Sweaterfleece Jacket (Men’s Available) — This fleece jacket for both men and women is the perfect blend of comfort, softness, and performance. It’s a perfect companion for going to work at chill morning. You can add personalization to these fleece jackets for nurses. The North Face Ladies Sweater Fleece Jacket (Men’s Available) — Made with 100% polyester sweater knit with brushed fleece interior, this fleece jacket for both men and women is warm, yet breathable, on the trails. This fleece jacket for nurse is great for personalized design(free logo embroidery 12 pieces minimum). Blank t-shirts are wonderful gifts for your nurse’s team members. At NYFifth, we offer a wide selection of unisex t-shirts in various colors, sizes, and fabrics. You can add your team logo or unique design to our custom shirts. Here are some nurse team t-shirt designs that can be used on below popular unisex tees. Bella + Canvas 3413 – Unisex Triblend Short Sleeve Tee — The perfect blend of three fabrics makes this tee feel soft, comfortable, and has a great fit for both sexes. This customer favorite shirt comes in 40+ different colors to express your creativity. Gildan 8000 – DryBlend 50/50 Cotton/Poly T-Shirt — One of the Gildan’s most classic t-shirts, this shirt is made with DryBlend fabric designed to wick moisture away keeping you cool and comfortable. There are 50+ colors for you to choose from. Tultex 0241 – Unisex Poly-Rich Blend T-Shirt — One of our best selling unisex t-shirts! Tultex 0241 is a great selection of blank t-shirts for screen printing at affordable prices. Available in 17 different colors, these tees are the perfect nurse team shirts.